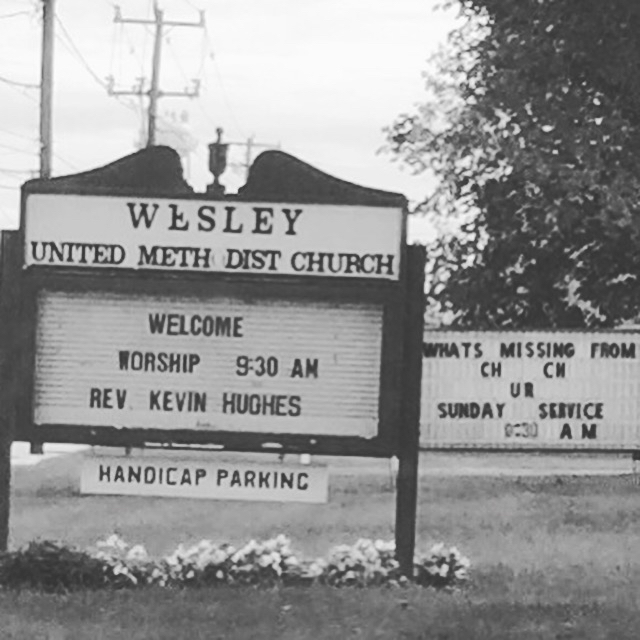 I’ve heard the story from my Presbyterian colleagues about the Rev. David Bailey Sindt, who stood up at the 1974 General Assembly with a sign that read, “Is anybody else out there gay?” Other mainline denominations have their semi-famous gay icons, but what of the gay and lesbian people who took their own stands on less-remembered occasions? Connie L. Tuttle was one of them. The first out lesbian to graduate from Columbia Theological Seminary, Rev. Tuttle stood in protest during an Atlanta Presbytery meeting in the 1990s, compelling those in attendance to remember that they were discussing people, not merely policy, as they considered Amendment B. That event forms the spine of her memoir, A Gracious Heresy: The Queer Calling of an Unlikely Prophet(Resource Publications, 2018). She had no official standing to speak at the meeting, yet she stood, in a visible yet silent protest. Tuttle tells her at times tumultuous life story in frank prose. She does not spare herself and thereby gains the credibility that allows her to tell the truth, as any worthy prophet would, about the people whose preferences and prejudices affected her along the way. The narrative is grounded in the events of the world, giving the reader a sense of what it was like to be a young woman formed by the social and political climate of the late 1960s. Her childhood experiences as an Army brat exposed Tuttle to a non-denominational and accepting form of church, and that is what she hoped to find when, as a 20-something lesbian single mother, she began searching for a spiritual home and found it for a time in a Presbyterian congregation. In response to a strong sense of calling, she went to college in her 20s at Agnes Scott, with the goal of then going onto seminary. As I said above, her tone is frank, and that frankness was much-appreciated by this reader. Sexism and homophobia have not gone away in the decades since Tuttle graduated from Columbia, in the church or in the wider world. I take great encouragement from her determination to push back even then, and from the cause of that determination: she had a call to follow, and she was going to find a way to respond to what God put in her heart. When asked to describe her gifts for ministry during an assessment required for her seminary graduation, Tuttle explained that her wide experiences prepared her to speak for those who cannot speak for themselves, particularly those who had been hurt by the church. Connie Tuttle was never ordained in the Presbyterian Church (USA). She went on to found Circle of Grace, “a small, progressive, ecumenical, feminist, Christian house church” in Atlanta, Georgia. 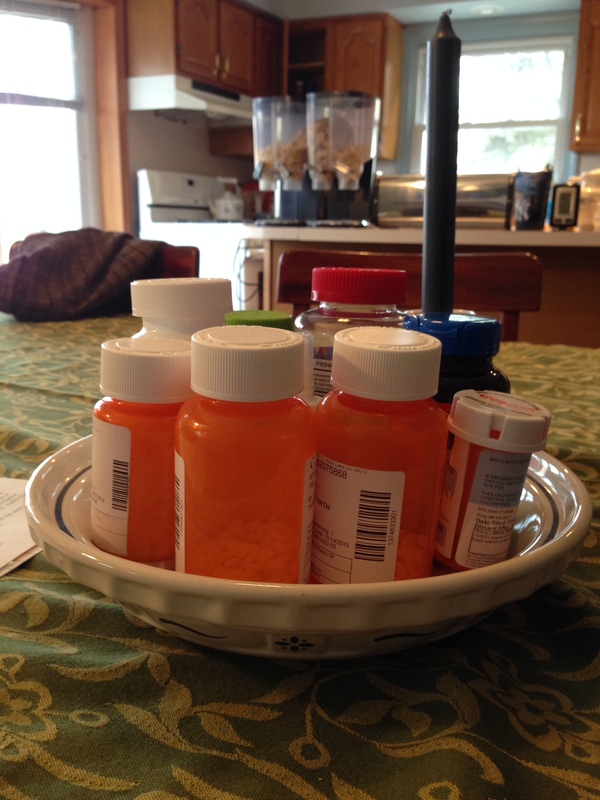 She is part of the RevGalBlogPals blogging community; you can find her writing at The Gracious Heretic. I recommend her book to all who love to read call stories, and especially to readers who wonder why LGBTQ+ people stick with the church. (Short version: God called us.) Rev. Tuttle may be a heretic; she is certainly a prophet; she is also a hero. The question has been asked and answered so many times. At least on this occasion I knew the asker was friendly, offering an opportunity to make the case to an audience containing listeners of mixed attitudes. We had discussed a recent complaint on the matter before the recording began. Even so, I was a little surprised when I heard the question. He asked, so I answered, bearing in mind our earlier conversation. My interviewer moved on to the next question, but I know that out in the ether, people will repeat the one already asked and answered. A vocal portion of humankind – which I like to think are in the minority despite the volume of their voices and the attention paid to them – continue to value women only in relation and submission to men. They make these claims on religious grounds, forgetting or ignoring passages of scripture inconvenient to their thesis. At the church my wife serves, the staff and Session have undertaken a read-along, Four Gospels in Four Months, and invited the congregation to join them. Today’s chapter was Matthew 15, in which Jesus meets a woman who teaches him when she says, “…even the dogs eat the crumbs that fall from their masters’ tables.” She asks, and he answers, and the mission of Christ expands to become a mission to the world. Holy God, give us patience to answer questions asked again and again, and keep us open to answers that will change us. Amen. This post was written for the RevGalBlogPals Weekly e-Reader. You can hear the interview mentioned above on Day1 in June. Right down the street in real life. All for You, Holy One. 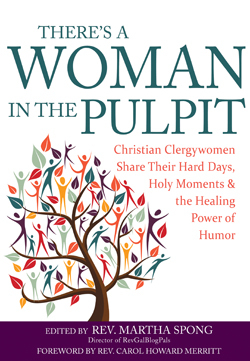 I’m excited to announce the publication in April of There’s a Woman in the Pulpit: Christian Clergywomen Share Their Hard Days, Holy Moments & the Healing Power of Humor (SkyLight Paths Publishing). It was a joy to edit this collection of stories and prayers written by me and over 50 of my colleagues who are members of RevGalBlogPals. We represent 14 denominations, 5 countries, and more than a dozen seminaries. Our stories will bring both laughter and tears as well as a unique perspective on the number and kind of plates clergywomen keep spinning in amazing fashion. Intended for laypeople, women hearing a call to ministry and clergy of all denominations, these stories and prayers will resonate with, challenge, encourage and amuse anyone who has a passion for their work and faith. A group reading guide will be available on the SkyLight Paths Publishing website – consider choosing it for your book group! Some work miracles. Others, not so much.